The presentation of basic concepts and recent scientific advances is a demanding task to achieve in a single literary resource. This particular and timely combination is excellently accomplished in this book. Given the broad spectrum of readership that will benefit from this book, it was imperative that the book was prepared by oncologists and scientists not only having demonstrated fundamental expertise in specific fields but who also have general presentation skills. In this manner, the present book reflects the knowledge necessary to communicate molecular aspects of oncology to Graduates and PhD candidates, physicians, oncologists and a broad variety of scientists, among more general readers. It is my pleasure to encourage readers to go through all of the chapters of this well-organized book. 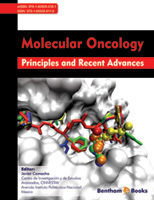 This work represents an extraordinary effort of both, the Editor - Dr. Javier Camacho - and the other authors in order to offer a state-of-the-art scenario and a reliable and extremely valuable information source about basic concepts in molecular oncology. With no doubt, this book perfectly meets the key features that people interested in molecular oncology books are seeking to find. Cancer is one of the major causes of death worldwide. Despite hundreds of clinical trials are currently running for cancer patients, the successful rate is still very low. Therefore, early markers for cancer as well as novel therapeutic targets and drugs are needed. Understanding of the molecular aspects of cancer development, the discovery of new molecular targets and the rational drug design on a molecular basis, with no doubt should help to decrease cancer mortality. In consideration to these demands, and in view of cancer as a multi-factorial disease, this book describes some of the most important topics related to cancer on a molecular basis. From describing causes of cancer to rational drug design, including molecular diagnosis and prognosis, the book covers many areas of interest to many potential readers. Instead of describing very particular processes at the very fine level, this book integrates information on different cancer topics. This approach allows the reader to find in a single book the close relationship between causes of cancer, cell and molecular biology of cancer cells and drug design, among other subjects. This book pretends to cover a broad area of interest for people in the cancer field including students, physicians, researchers, policy makers, and people from the pharmaceutical industry. We sincerely hope this source to be useful in the understanding of cancer and in the design of new strategies to fight against this terrible disease.